Kimber Leigh Writes: Melodramatic Musings - Why are Reviews Becoming so Hard to Come by? Melodramatic Musings - Why are Reviews Becoming so Hard to Come by? I started my review blog Once Upon a YA Book almost one year ago. In that year, I've posted 194 reviews to Goodreads. That's close to four books a week. Crazy, right? That doesn't include the books I decided not to review for a variety of reasons, mostly DNF. My backlog is still astronomical even though I had to stop taking review requests. I received so many each day, it was absurd. My debut novel was released 2/25/14 and so far getting people to review the book has been a climb up a treacherous slope. I knew it would be difficult since my book wasn't featured as an ARC. I had to wait until after publication to ask for reviews. But I didn't think it would be this hard. Ahh, cute puppy pictures always make me feel better. 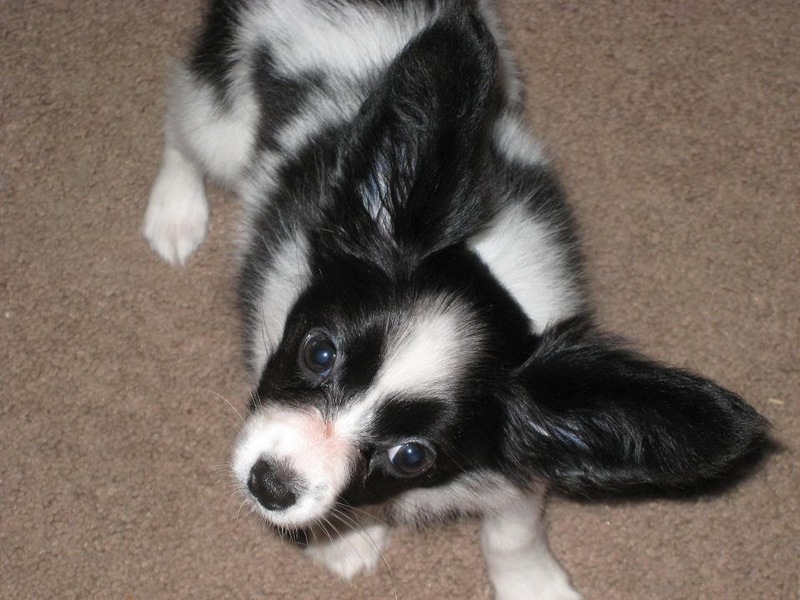 This is my papillon, Kilala, Lala for short. First and foremost, the number one reason reviews are hard to come by... The market is saturated, soaked, bloated. There is an endless supply of reading material out there. Reviewers are inundated with requests. Even the reviewers who don't accept Indie requests have an overflowing inbox. Reviewers can by picky. They probably won't accept a review request from an author with two Amazon reviews, even if they're glowing. I usually read the first few pages before deciding on a review request, but I'm not sure if most reviewers even bother. With the number of requests and the availability on Edelweiss and Netgalley, reviewers aren't hurting for reading material. I spent hours sending out personalized review requests to blogs, people, writers I've worked with in the past. Two have accepted. I never received a response from anyone else. Though it can be time consuming, I always reply to review requests (there are some I ignore, but I have valid reasons for doing so). Spotlights, guest posts, and interviews - no problem booking those. But ask for a review and you'll probably be met with stony silence. Forget "Last Call", all bartenders need to yell is "Debut author in need of reviews" and the bar will be empty within seconds flat. I host for quite a few blog tour companies. Just in the last few months, I've received lots of emails from hosts trying to fill up the blog tours. It just seems like there are fewer people out there lately wanting to review, even for a blog tour. I wish I could compare the number of tours last year with the tours this year, but I didn't keep any of the data. So all I can say is host incentives are increasing and tour companies are sometimes reduced to begging for help with tours. So if you think you'll get a ton of reviews by booking a blog tour, realize that might not be the case. Reviews can be time consuming. A thoughtful 500 word review doesn't write itself. Sure, it's easy when you love the book and want to scream it from the rooftops. But how many books actually fall in this category? Not many for me at least. Most books I read fall into the 2-4 star Goodreads range. It can be a challenge writing a review for a 3 star book, and I don't even want to write a review for a 2 star book. My reviews tend to be positive. I focus on what I liked more than what I didn't. Writing reviews can be exhausting mentally. So what can we do as writers? Is it all hopeless? Should we just give up? Admit we're doomed to languish in Kindle obscurity? No. Try harder. Publish more. If a reviewer sees that you have several books out, they are more likely to try one. Why? It shows that you're a serious writer. It shows commitment. Three books with twelve 4 or 5 star reviews among them is more appealing than one book with two 5 star reviews. Book that blog tour. So you don't get as many reviews as you would like. At least your book is getting out there in spotlights. Write some guest posts. So many book bloggers love receiving a well-written guest post. It brings a new audience to our blog. Continue to send out your personalized review requests. Don't even bother with a boiler plate email. It seldom works except for the newest reviewers. Target newer review blogs with smaller followings. You want that review posted on Goodreads and Amazon. No one there cares how many blog followers a reviewer has. So, do you have any suggestions? What's worked for you? What didn't? I was intrigued by your post and went to Amazon to check out your book. I bought it and will be reviewing it. Some of the best books I've read this year have been the least promoted. I am not a writer myself, but I do love to read. I also spread the word enthusiastically about books that deserve more exposure. Hang in there and keep on keeping on! I am not a blogger but from what I have read on other blogs, some bloggers are overwhelmed with the expectation that comes with book tours. Most tour hosts are pretty up front with their expectations. I enjoy hosting tours and haven't had any major issues yet.